Final Four weekend is coming. And Hard Rock Atlantic City just opened a new seating and bar area to accomodate its NJ sports betting customers. The Hard Rock Atlantic City sportsbook now has a seating area for customers to enjoy the full NJ sports betting experience. Phase two of the retail space is fully operational as of today. And this is not an April Fool’s joke. Hard Rock shared the news via a press release. Joe Lupo, president of Hard Rock Atlantic City, commented on the latest addition. “It’s an exciting time for our property as we open up the second phase of our sportsbook amplifying this amenity for guests in time for an eventful weekend in basketball. Full-service bar with video poker slots. The opening coincides with the tail end of March Madness betting. The Final Four is taking place in Minneapolis this weekend. And Virginia, Texas Tech, Auburn, and Michigan State are still in the mix. The new seating area is located footsteps away from the slot machines. Customers could be seen watching sports events inside the space Saturday afternoon. The unveiling matches the “end of March” timeline Lupo shared with NJ Gambling Sites last month. Some might say Hard Rock AC is missing the boat on major NJ sports betting events. Traditionally, the opening weekend of the NCAA Tournament draws the biggest sports betting crowds. With this being the first year March Madness betting is legal in NJ, this year’s event came with extra excitement. But there are still two games on Saturday night followed by Monday’s National Championship Game. Arguably, these last three games of March Madness 2019 will be the most watched. The Hard Rock brand comes with international recognition. Since opening in Atlantic City on June 27, the property’s entertainment offerings have been front and center. While neighboring Ocean Resort Casino, which opened the same day, offered sports betting from the start, Hard Rock AC did not. And months went by without much detail on its NJ sports betting plans. That changed earlier this year. 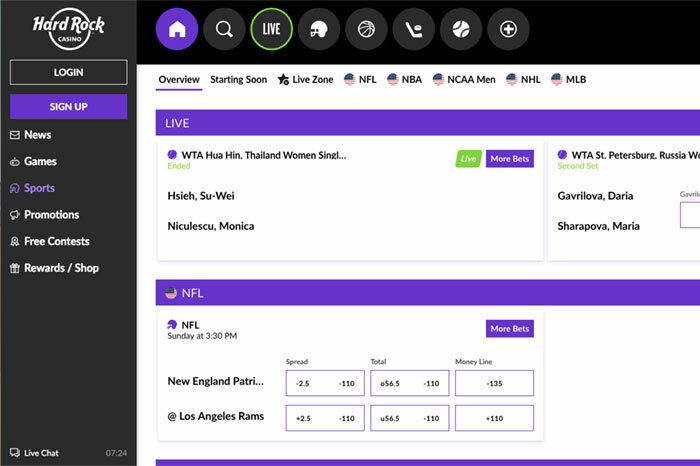 Its mobile sports betting app powered by Gaming Innovation Group launched on Jan. 26. The retail betting windows opened on Jan. 30, just making the Super Bowl betting cut. But the lack of seats had customers betting on the Big Game at neighboring Atlantic City sportsbooks. 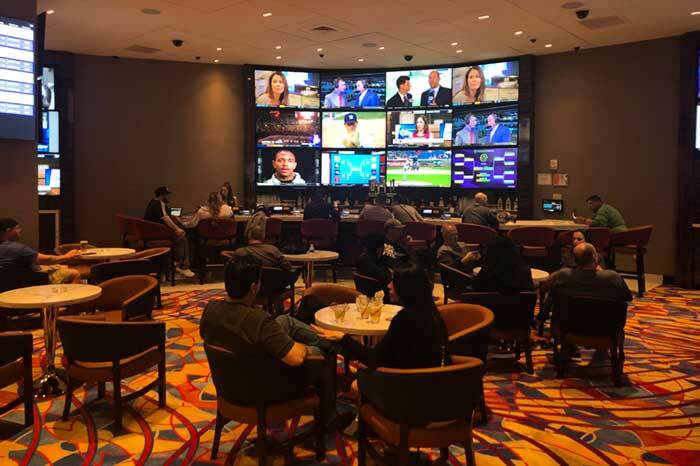 The much larger DraftKings Sportsbook at Resorts and William Hill Sportsbook at Ocean Resort were in full swing during the Super Bowl. But will the lounge-like setup be enough to attract bettors to the expanded Hard Rock sportsbook? Hard to say. Looking at Hard Rock’s NJ sports betting portfolio, and it seems clear mobile is the focus. Considering $563,806,320 of the $705,608,486 year to date handle has come from mobile sportsbook apps, Hard Rock AC’s game plan makes sense. The Hard Rock mobile sportsbook is integrated into its previously existing casino app. It means there is already an established customer base. Plus, at some point this year, two of its partners are expected to join the NJ online sports betting market. 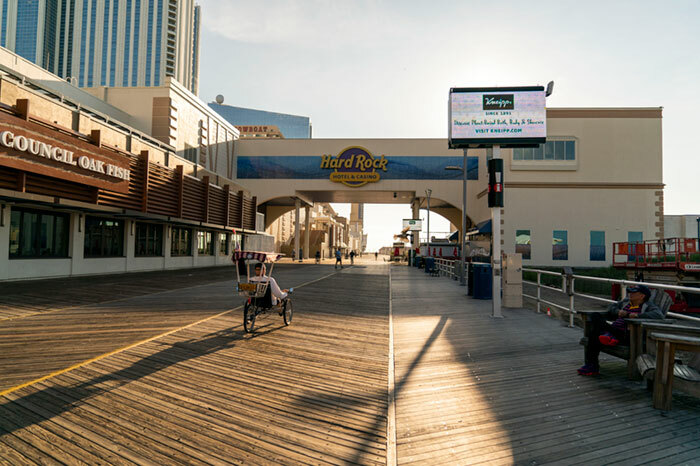 Unibet NJ and bet365 NJ both have land-based partnerships with Hard Rock Atlantic City. Each NJ sports betting license holder is permitted to have three online skins. There are currently 13 mobile sports betting apps available in the Garden State. Hard Rock, at least from an online sports betting perspective, will be showing a full house. Hard Rock Atlantic City casino president Joe Lupo gives an update on phase two of the property’s sports betting plans and talks first-year success. Hard Rock Atlantic City customers are well aware the property is open for NJ sports betting. But the full NJ sportsbook experience leaves something to be desired. The area is lacking seats, large monitors and a bar. That situation is expected to change for the better sometime this month. Joe Lupo, the property’s president, told NJ Gambling Sites earlier this week that phase two is expected to be open by the end of March, just in time for the tail end of March Madness betting. The space is expected to include a large bar, additional TVs to watch games and a “sufficient amount” of seating, said Lupo. The NCAA Tournament is considered one of the biggest events on the sports betting calendar. First-round games are taking place March 21 and 22. But believe it or not, March Madness is not the primary target audience for Hard Rock sports betting. While waiting for phase two to be rolled out, Hard Rock customers have two ways of wagering. This includes betting futures on how many home runs Philadelphia Phillies star outfielder Bryce Harper will hit this season. The Hard Rock online sportsbook launched in late January. The platform is integrated into the existing online casino app powered by Gaming Innovation Group. The retail sportsbook betting windows opened on Jan. 3o, days before Super Bowl LIII. Lupo said it’s too early to judge how things are going on the retail end, but he does expect to see the business grow. Lupo told NJGS that the mobile/online component is the primary focus at Hard Rock AC. This makes sense considering NJ online sports betting accounted for the vast majority of handle and revenue in January. But Hard Rock is working on expanding its mobile sports betting offerings via a couple of partnerships. The New Jersey Division of Gaming Enforcement permits each license holder to have up to three online skins. Hard Rock has additional partnerships in place with Bet365 and Kindred (Unibet). Both are expected to launch at some point this year. Hard Rock’s mobile casino platform has been live since the summer. The rebranded Trump Taj Mahal officially opened on June 28, along with Ocean Resort Casino (the former Revel). While the sports betting operation was a work in progress, the casino app launched the same day. And Lupo is extremely pleased with the results. “We couldn’t be happier with the launch of our online casino, especially given that we have not advertised to any level of our competitors whatsoever. “Kresimir Spajic who oversees the Hard Rock online division is truly one of the most innovative and aggressive professionals in the business. Of course, Lupo is no stranger to the Atlantic City casino scene, having previously served as senior vice president of operations at Borgata. He joined the Hard Rock AC team in the fall, relocating from the company’s property in Tampa. He served as president there, too. Hard Rock is one of those brands that circled the AC rumor mill for years. It finally became a reality last year. And the name comes with national recognition. But can this Jersey Shore gambling town handle the addition of two more casinos? Remember AC was once home to 12 gambling properties before a string of closures left its financial future in doubt. All but two (Atlantic Club and Trump Plaza) have reopened under new ownership. The neighboring Showboat operates as a hotel only. Having opened just days before the Fourth of July, Hard Rock jumped right into the prime summer season. Like any opening, there were some kinks to work out. But as the property approaches its one-year anniversary, Lupo is liking the direction the property is heading. “In a high frequency market like Atlantic City where there are loyal customers, a challenge is simply acquiring and growing the database. The rumors are now true. Hard Rock Atlantic City casino is open for NJ sports betting. And just in time for the 2019 Super Bowl. The rumors have been circulating for weeks that Hard Rock Atlantic City would offer NJ sports betting by Super Bowl LIII. Well, it’s no longer a rumor as the Hard Rock Sportsbook is open for business. Malta-based Gaming Innovation Group, the company powering the omni-channel Hard Rock sportsbook, confirmed the news via a press release. 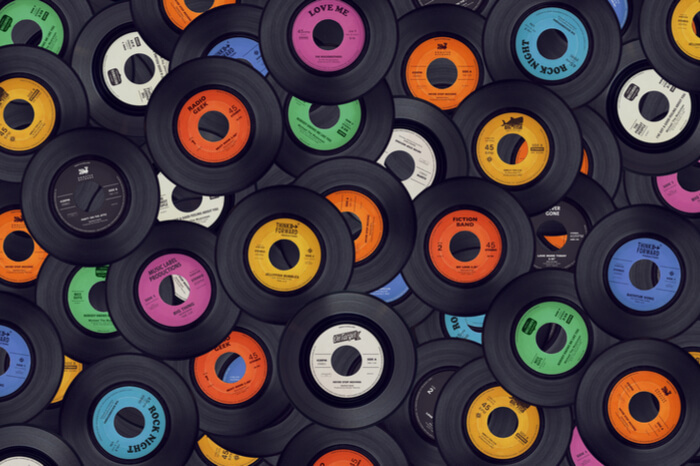 “This is a milestone for GiG. We have an ambition to make our mark on the highly competitive sports betting vertical and have invested heavily. “We couldn’t be more excited to launch our online and on-property sportsbook, providing our guests and players the opportunity to bet on football’s big game this weekend. 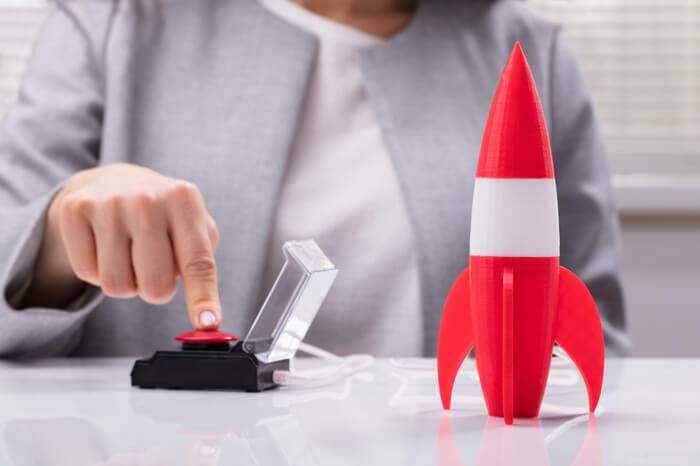 While the news of Hard Rock’s on-property sportsbook broke on Wednesday morning, the online sportsbook had it soft launch on Saturday. GiG, the same company that powers the Hard Rock online casino, has integrated the online sportsbook into the rest of the NJ gambling site. Customers will have access to a shared wallet to use across both platforms. The app is also now available for Android and iOS devices. “The launch of the Sportsbook at HardRockSports.com is another milestone on our journey to becoming the most innovative and comprehensive online gaming service for players in the State of New Jersey. Hard Rock is likely the last of the Atlantic City casinos to join the Atlantic City retail sports betting scene. Of the nine properties, Caesars Atlantic City is the only one without its own on-property sportsbook. But the property located at the center of the Boardwalk is connected to sister property Bally’s Atlantic City (both owned by Caesars Entertainment). The Book at the Wild Wild West, a temporary space, is accepting bets for the Big Game. Sister property Harrah’s also has a temporary setup in place. Borgata, which is owned by MGM, recently announced plans for a permanent $11 million sportsbook expected to be open by the summer. The William Hill Sportsbook at the Tropicana is expected to get a major upgrade. The specific details have yet to be announced. But now with Hard Rock AC casino in the NJ sports betting game, there is no shortage of betting windows and kiosks on getting in those bets on the New England Patriots and Los Angeles Rams by kickoff on Sunday. There will be plenty of places to hang out while the game unfolds. The 2019 Super Bowl is days away and Hard Rock Atlantic City will be part of the NJ online sports betting scene with its online sportsbook soft launch. After six months of life on the Boardwalk, Atlantic City’s two newest casinos, Ocean Resort and Hard Rock, are staying positive about the future. The Ocean Resort Casino owner, though, does not use that word lightly. He believed Atlantic City was on the threshold of rebirth. His property, along with Hard Rock Atlantic City, both of which opened June 28, was expected to be the catalyst for the city’s return to prominence. Now, six months after the two properties opened to the public, Deifik has not wavered from that frequently used word. “Looking back, I felt that Atlantic City was going through a renaissance,” Deifik said in a phone interview. Certainly, both Ocean Resort and Hard Rock AC remain in their infancy. Yet while the industry as a whole continues to reach unprecedented levels of success, Ocean Resort and Hard Rock remain far behind in terms of revenue. Of course, there is always room for improvement. Yet neither property is concerned about its standing and current state. It has been some time since Atlantic City had the spotlight. The advent of sports betting surely infused some hype. And that industry has made its fair share of contributions. Sports betting and an eye-opening upturn in NJ online casinos — which accounted for the majority of a state-record $26.9 million in November, the fourth month this calendar year in which revenue records were set — have indeed led to a renaissance in Atlantic City. According to the New Jersey Division of Gaming Enforcement, spending and gambling revenue is on pace to eclipse last year’s figures. In the third quarter, net revenue industry-wide reflected a 17.8 percent increase (although gross profits represented a 15.3 percent decrease year-over-year). And November marked the sixth straight month, and the seventh overall, in which total gaming revenue for Atlantic City casinos showed a year-over-year spike. Consider, though, that this year’s monthly numbers, at least since July, compare to a time when Atlantic City was lined with seven casinos rather than nine. And on an individual-casino basis, the newcomers have some catching up to do. Naturally, both new Atlantic City casinos were behind the eight ball upon opening. 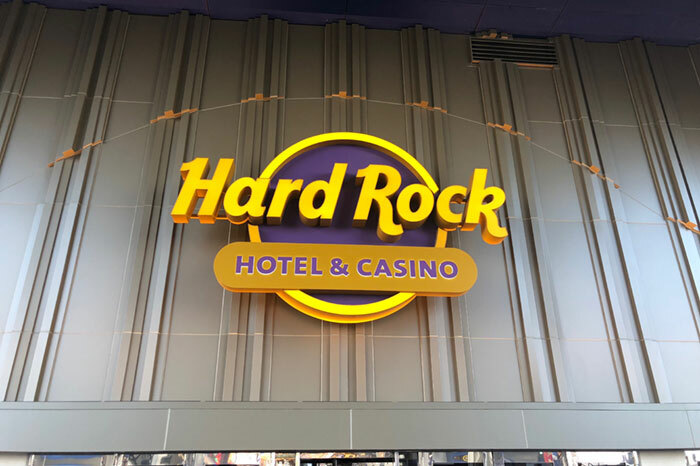 Since rolling out their respective online casinos — Hard Rock in June and Ocean Resort the following month — both platforms have gradually upped revenue each month. From its first full month of online casino operations, Hard Rock has gone from a $329,650 month in July to $1,314,597 last month. Ocean Resort has also grown, though not as exponentially: $249,805 in July (not a full month) to $731,887 in November. Granted, month-to-month revenue reports vary and fluctuate. Yet in that same span, while Ocean Resort and Hard Rock have increased revenue each month, most others have seen dips in profit. Perhaps this is an example of the two new properties gaining customers. Though that is speculative. Pandit told the Press of Atlantic City that three months worth of data is not sufficient to draw solid conclusions. Ocean Resort and Hard Rock NJ gambling sites remain far behind the competition. Golden Nugget online casino has hovered around $9 million per month since July, while most others remain in the $3 million-to-$4 million range. Even so, while some experts believe nine casinos cannot successfully operate simultaneously, Deifik does not share similar worry. “We’re very pleased — my wife, my kids, myself, our executives,” Deifik said. “We think we get better every day. We’re making good decisions every day. We have great partners. I couldn’t be happier. If you would have asked me June 28, when we opened, ‘Where would you like to be toward the end of the year?’ I’m pleased where we’re at. Since opening, the owner said, Ocean Resort has operated at about 84 percent occupancy, second only to Borgata. That gap will narrow further, Deifik noted, when another 2,000 rooms are completed at Ocean Resort. Hotel operations have run relatively smoothly, Deifik said, emphasizing the success of group and convention at the resort. The casino features more than a dozen food and beverage options and non-gaming amenities such as Topgolf. In Las Vegas, Pandit mentioned, casino hotels generate more revenue from those non-gaming activities. He said Atlantic City properties should emphasize the same in order to survive. Deifik has begun such a model. “Las Vegas should be very proud with the way they’ve done things,” Deifik said. “I’m a student of that town for 30 years, basically. … I’ve watched and I’ve looked. We could do worse things than to emulate, to a certain extent, what they do in Las Vegas as far as group and convention and filling up your properties all the time every day. That’s a great thing. While some experts may appear concerned, or at least wary of, casino cannibalism, Deifik (and surely Hard Rock executives) perceive an influx in visitation in the near future. The Ocean Resort owner says that 24.5 million people flock to Atlantic City annually. If that number reaches 30 million visitors, all nine properties should not only thrive but also grow. New Jersey online casinos carried internet gaming revenue to record-setting territory of while NJ online poker continues to struggle. The New Jersey online gaming market entered record territory — again. When 2018 is over, it may very well be known as the year NJ online gambling kept one-upping itself. Not surprisingly, it is the online casinos that carried internet gaming to produce the record-setting revenue while online poker continues to head in the wrong direction. According to the latest revenue report from the NJ Division of Gaming Enforcement, Atlantic City casinos brought in $26.9 million from its online activity in November 2018. November’s figure represents an impressive 30.7 percent increase over November 2017. It is, however, only a modest gain from October 2018, which brought in $ 26.7 million. Specifically, the casinos brought in $25.4 million, good for a 35 percent increase year over year. Poker made up the difference with revenue of $1.5 million for the month. Compared to November 2017, its revenue decreased by 13.7 percent. Even though all operators posted gains this month, Golden Nugget continues to carry the industry. In fact, it keeps knocking on the door to reach $10 million. It has been north of $9 million in revenue four times this year. It did, however, take a slight step backward in November to $9.2 million. While that figure is good for a massive 48.7 percent increase year over year, it did slip slightly from its October revenue of $9.7 million. On the flip side is Resorts. It earned $3.6 million for November, representing a meager 1.3 percent year-over-year increase. While Golden Nugget had a slight decrease in month-over-month revenue, Resorts was able to show a modest gain of 5.8 percent. Hard Rock Atlantic City and Ocean Resort Casino continue to grow. In the five full months of operation, both NJ online casinos have seen a triple-digit percentage growth from their first month to now. For November, Hard Rock posted $1.3 million in revenue, its second seven-figure month in a row. That figure represents a 33.6 percent increase over October when normalized for the additional day. 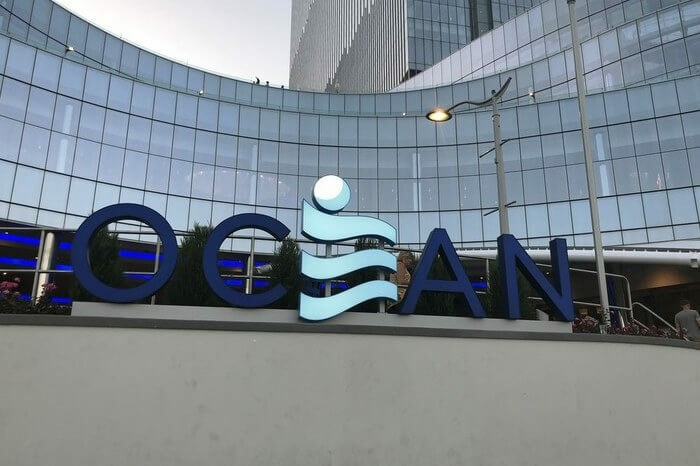 Ocean Online Casino may not be growing as fast as Hard Rock online casino, but it posted an impressive 27.1 percent month-over-month increase with a November revenue figure of $731,887. Borgata once again sits solidly in second place behind Golden Nugget. It looked like Caesars was trying to make a run for Borgata’s position, but it took a few steps back during the last few months. Borgata contributed $4.87 million to the overall online gaming revenue picture. That is a healthy 12.4 percent increase over last year’s number and 13.5 percent over last month’s. Caesars after breaking into the $4-million club in September, brought in $3.9 million. It improved its November 2017 performance by 16.9 percent. At the same time, it only posted a slight gain of 3.8 percent compared to last month. Besides Golden Nugget, Tropicana is the only NJ online casino to post a decline in November revenue when compared to October. This month, Tropicana earned $3.4 million, a 5.4 percent decline from October’s figure of $ 3.7 million when normalized for the extra day. On the other hand, Tropicana did grow by four percent year over year. NJ online gambling isn’t the only market posting stellar numbers. The New Jersey gaming industry keeps proving its strength with solid overall revenue numbers. In November, total gaming revenue was $257.4 million, a 24.7 percent increase from the same period last year. Year-to-date, the NJ gaming industry brought in $2.645 billion. That is a nearly eight percent increase when comparing it to the $2.452 billion from the same period in 2017. And we aren’t even done with 2018 yet. While NJ sports betting is the talk of the town, it is hard to overlook the more than 30 percent growth of NJ online casinos and the strength of the industry as a whole.